Teaching Blog Round Up: Celebrate the End of Year Blues with a FUN Summer Puzzle! 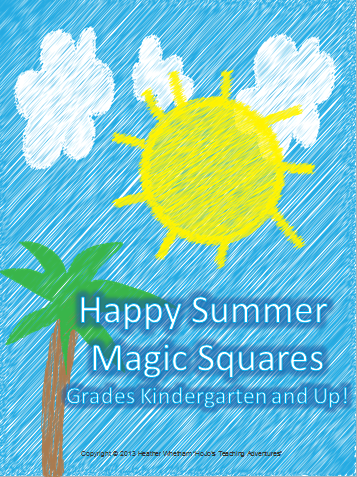 Celebrate the End of Year Blues with a FUN Summer Puzzle! I'm so glad you are here at Teaching Blog Roundup! I'm Heather from HoJo's Teaching Adventures, but you can just call me HoJo. My blog is geared for elementary grades K-6 because I've taught all of them in some capacity! I'm especially excited about this new collaborative blog because I'm actually a country girl - so the name fits. I've lived in South Dakota my entire life, and my family raises quarter horses. At one point we had over 80 of them! It was great!! 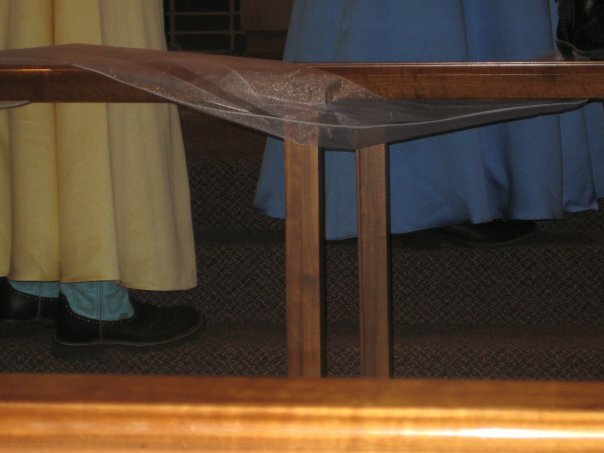 I even had a friend who had all of her bridesmaids wear cowboy boots with our bridesmaid dresses. Alright - I know that's not why you're here, so let's get down to business! The end of the year can be stressful! You're trying to get inventory done, see what teaching assignment you'll have for next year, try out some new classroom management techniques because your little "lovelies" have been anything but, and there are a 100 more things I could list that end up on teachers' plates at the end of the year. But you have to keep the students engaged! One way I like to keep students engaged at this point in the year is through games and puzzles. Students tend to buy into them, and they keep their hands fully engaged which seems to help keep their mouths quiet. :) So I decided to create a little summertime freebie for you! We've all been dreaming of beaches, flip flips, and sand castles - so now you can use them to keep your students on task! These free puzzles will keep students in grades K-6ish entertained. (I say 6ish just because it depends on the ability of your sixth graders. Some of mine love Magic Squares and could play them for hours, while others find them too easy and boring, but maybe that's just the middle school attitudes coming through. ha!) You can choose between scrambled word puzzles or vocabulary. There are four total puzzles/games to differentiate between all of your needs in grades K-6! Click here or on the picture below to download your free copy from TpT. If you want more end of year ideas, check out my End of Year Pinterest board! Thank you so much for stopping by Teaching Blog Roundup! Show us some love in the comments by telling us your favorite year end freebie or tip to make the end of year go smoothly! Your puzzles are so much fun!! :) I'm scouring blogs for low-prep activities my kinders can do independently while I'm assessing. This is perfect! Thank you!! I hope it worked well for you!